The Credit One Bank® Unsecured Platinum Visa® card is a perfect solution for credit card users who need to build their credit score, and also want to explore how a cash back rewards program works. Credit One Bank® offers card holders credit education and free monthly access to their credit scores — a great way to help cardholders focus on financial milestones. The Credit One Bank® Unsecured Platinum Visa® card gives card holders the opportunity to earn unlimited 1% cash back for gas and grocery purchases. Credit One Bank's® Visa® comes with an annual membership fee, which varies depending on your initial available credit line. The annual membership fees range from $0 to $99 the first year but is subject to change each subsequent year. This is a rare card that does not require a security deposit to establish a line of credit for folks with bad to fair credit. It offers cash back in non-rotating categories that cardholders receive in the form of statement credits. Cardholders can pick their own due date after the initial statement as long as the date is within six days, before or after, of the original due date. This card doesn't offer a grace period on your purchases, so you'll begin accruing interest on your purchases from the moment they post to your account. Pick Your Own Due Date: After the initial billing period, card holders can call and select a new payment due date. As long as it's at least six days before or six days after the original assigned date, you can change the due date to make it easier when handling monthly payments. Card holders can also take advantage of the email/text alerts on payment due dates to help keep track. Free Credit Scores: Card holders get free monthly online credit score tracking which helps you to see in real time how your credit score is improving with proper money management. Rewards Aren't Available from Stores Like Wal-Mart or Target: If you are a frequent spender at warehouse clubs or discount super centers like Walmart or Target, be aware, these locations are not eligible for the cash back bonus with Credit One Bank® Unsecured Platinum Visa®. See issuer's terms to verify if your shopping habits match with this rewards program. Sky-high APR Rate: Because this card is designed to helping build and rebuild credit scores, the APR tends to be a bit higher to accommodate the higher risk group of card holders. The high APR should incentivize cardholders to pay their balance off each month to avoid accruing APR rates. Automatic application of your annual fee: Each year the annual fee is deducted from your credit line. So when this pesky fee comes around, it may be outside of your budget. Set a reminder in your calendar to avoid any surprises. The DCU card gets kudos for offering an ongoing APR lower than most secured cards on the market. While credit card users should do everything in their power to pay their balance off each month, having a low APR is reassuring when times get tough. The DCU card requires a deposit which acts a credit line. The Credit One Bank® Unsecured Platinum Visa® does not require a deposit, but does charge an annual fee.If you’re focused on building your credit score strategically, the education offered alongside a Credit One Bank® card may be beneficial to you. If you can afford a one-time deposit, but annual fees scare you, the DCU may be a better card to consider. OpenSky® and Credit One Bank® Unsecured Platinum Visa® tout an application process that lasts less than a minute and causes minimal to no impact on your credit score. The major difference between these cards becomes the secured portion of the OpenSky® Secured Visa name: OpenSky® requires a deposit to establish a line of credit, and Credit One does not. Credit One does charge an annual fee, though. 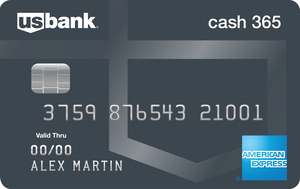 The major advantage Credit One has over OpenSky® is the opportunity for cardholders to participate in a cash back program. The Chase Freedom® card requires a higher credit score for eligibility so it tends to offer some cool bonuses that Credit One can’t: a $150 bonus after you spend $500 on purchases within the first three months of opening an account. While Credit One Bank® has a rewards program, Chase Freedom® card holders reap more benefits: 5% back on both purchases, as well as those at restaurants. All other purchases on the card bring the card holder 1% cash back. 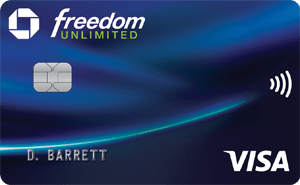 There is no annual fee with the Chase Freedom® card. Keep these benefits in mind when it’s time to apply for a credit card that grows with your credit score. Who Should Get Credit One Bank® Unsecured Platinum Visa®? If you don't have stellar credit and are working on rebuilding your credit, then the Credit One Bank® Visa® is a good card for you. Card holders will receive credit education while dabbling in an entry-level rewards program. This Visa® doesn't offer lots of bells and whistles, but it helps cardholders learn responsible credit card usage. And that's a lesson that's as good as gold.